The sacrament par excellence, the Eucharist, has been upheld as the foundational sacrament of Christ's Body called church, yet it has confounded Christian thinking and practice throughout history. Its symbolism points to the paradox of the incarnation, death, and resurrection of God in Jesus of Nazareth, which St Paul describes as a stumbling block (skandalon). Yet the scandal of sacramentality, not only illustrated by but enacted in the Eucharist, has not been sufficiently accounted for in the ecclesiologies and sacramental theologies of the Christian tradition. Despite what appears to be an increasingly post-ecclesial world, sacrament remains a persistent theme in contemporary culture, often in places least expected. 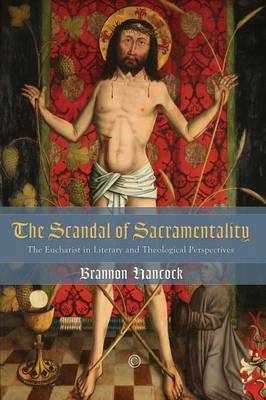 Drawing upon the biblical image of 'the Word made flesh', this interdisciplinary study examines the scandal of sacramentality along the twofold thematic of the scandal of language (word) and the scandal of the body (flesh).While sacred theology can think through this scandal only at significant risk to its own stability, the fictional discourses of literature and the arts are free to explore this scandal in a manner that simultaneously augments and challenges traditional notions of sacrament and sacramentality, and by extension, what it means to describe the church as a 'eucharistic community'.